The deadly school shooting last month in Parkland, Florida sparked national outrage and more action on gun control… because “guns kill,” or so the left would like everyone to believe. 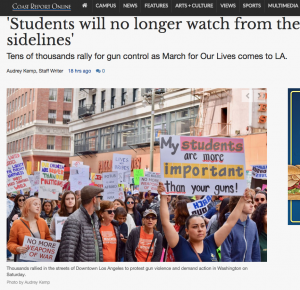 Students across the country took to the streets with fists raised, in front of television cameras, egged on by leftist teachers and parents, to demand mass gun control. One month after the Parkland school shooting, on March 14, students and school teachers and administrators walked out of classrooms, supposedly calling for gun reform, during the National School Walkout. Some schools called this walkout a “memorial” to the 17 students killed in the Parkland school shooting. 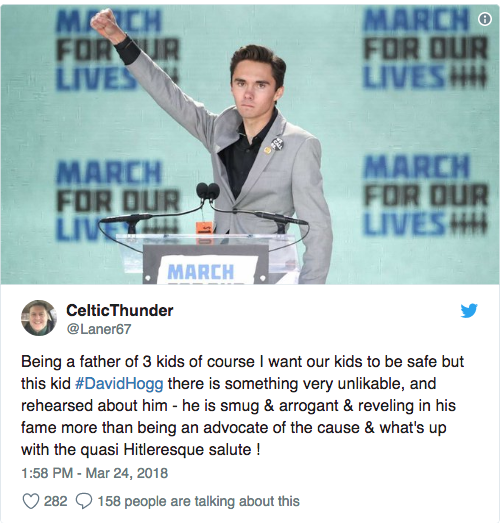 But this walkout was anything but a memorial or show of respect for the deceased students – it was a well-funded political movement, using the emotional kids as the dupes. I spoke with Ben Keene, a student at OCC, who reported just how politically charged the walkout was, and how professors were actually behind much of the organizing, even incentivizing students who joined them for the walkout with extra credit. “This wasn’t the voice of the students,” Keene said. “This was the voice of the teachers union. Teachers coerced students into joining the walkout.” Keene said after the walkout, the students were coached to write letters to Congress. “This was not grassroots at all. Professors walked out and expected students to follow,” Keene said. Keene is the OCC chapter President of the Young Americas Foundation. 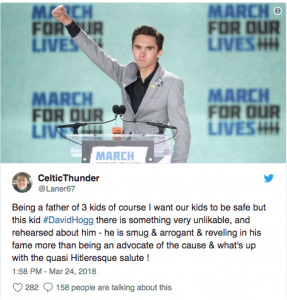 His group hosted a Second Amendment event the week before the March 14 walkout, and said it was a real success. Their goal was to provide facts about gun safety and end the disinformation about guns and the Second Amendment. Keene reported that when he recently asked the school for $200 for signs for his club, he was denied. “I had an Excel spreadsheet showing $6,000 spent on other clubs,” Keene said. Two researchers at Northwestern University recently discovered that schools are actually safer today than they were in the 1990s, and school shootings are not more common than they used to be. 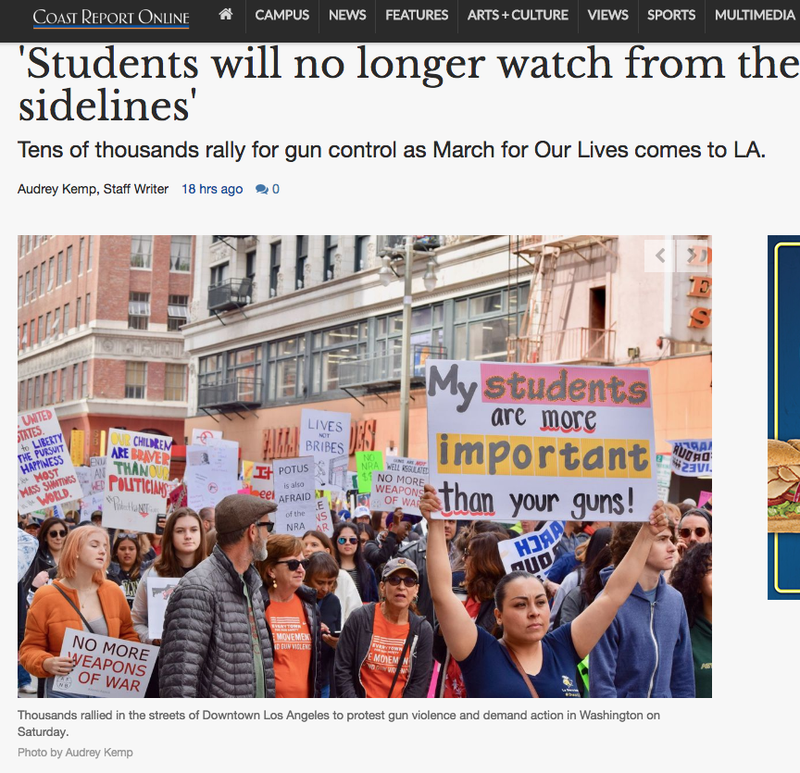 Criminology Professor James Alan Fox, who has studied the phenomenon of mass murder since the 1980s, and doctoral student Emma Fridel found that despite the 24/7 news reports, schools are safer today. “Four times the number of children were killed in schools in the early 1990s than today,” Fox said. “There is not an epidemic of school shootings,” he said, adding that more kids are killed each year from pool drownings or bicycle accidents. There are around 55 million school children in the United States, and on average over the past 25 years, about 10 students per year were killed by gunfire at school, according to Fox and Fridel’s research. “Compare the school fatality rate with the more than 100 school-age children accidentally killed each year riding their bikes or walking to school,” Fox also pointed out in a February USA Today op ed. In fact, the deadliest attack on a school in U.S. history took place in 1927, when a man named Andrew Kehoe blew up the school in Bath Township, Mich. Most of the 44 killed were children. I do not mention this to diminish the horror of the attack on Marjory Stoneman Douglas High School or any of the other school attacks, but as a reminder that in this 24/7 news cycle where sensationalized headlines and cameras and microphones are stuck into the faces of grieving relatives daily, there is evil in the world and always will be. As Professor Fox said, not only is there not an epidemic of school shootings, more kids are killed each year from pool drownings or bicycle accidents. And if the media could assign blame in those deaths to guns, SUVs or Conservatives, they would. This entry was posted on Tuesday, March 27th, 2018 at 1:03 am and is filed under Blog Posts.